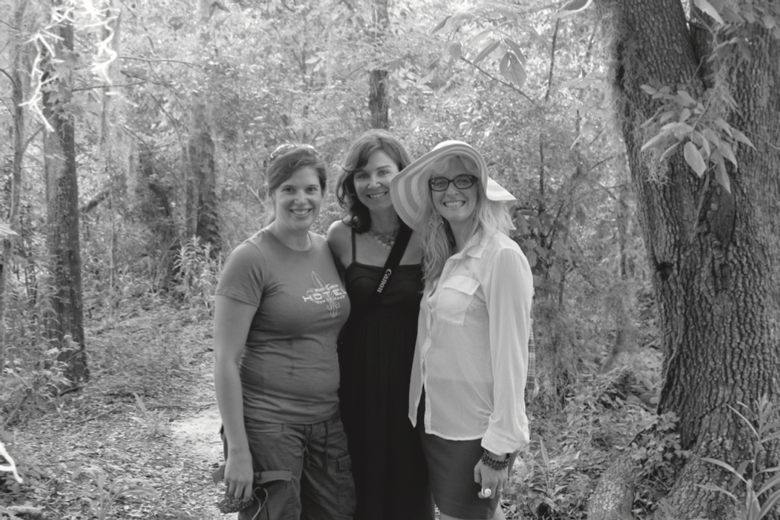 Victoria Phaneuf, Lauren Penney and Lindsey Feldman in southern Louisiana in 2013 while conducting research on the midrange effects of the Deepwater Horizon disaster. It is fitting that this article is being published in April. On April 20, 2010, BP’s Deepwater Horizon disaster began with the blowout of the Macondo well in the U.S. Gulf of Mexico, an event that killed 11 men, physically injured 17 more and spewed millions of barrels of crude oil into the Gulf just over 40 miles off the Louisiana coast. On Monday, April 4, 2016, almost six years later, Federal Judge Carl Barbier issued his final order approving an estimated $20 billion settlement with BP addressing the local, state and federal claims arising from federal Clean Water Act (CWA) violations, Natural Resource Damage Assessments and economic and other losses related to the disaster. Between those two dates, in April 2014, each of us signed a confidentiality agreement with the U.S. Department of Justice (DOJ) to serve as expert witnesses in the third and final phase of the BP trial; Diane would be the one to testify at the trial. The first phase of the trial had addressed fault, and the second phase focused on the amount of oil discharged into the Gulf, setting the stage for the final, penalty, phase of the trial . We were identified because of the research we had done with students and colleagues through the University of Arizona’s Bureau of Applied Research in Anthropology (BARA), over a period spanning more than 18 years, on the social effects of the offshore oil and gas industry in the Gulf of Mexico. Because of our commitment to comprehensive, thorough anthropological research, most of it funded by the U.S. Bureau of Ocean Energy Management (BOEM), the federal agency responsible for managing development of U.S. offshore resources, we had maintained a long-term presence in the region. And we had a deep understanding of the complex relationships of these places and peoples with the oil and gas industry. We also were in the middle of an ongoing study of the effects of the Deepwater Horizon disaster. At the time we were contacted about the trial, our two-volume report with results of the first phase of that work was in the final stages of publication by the BOEM. We were collecting data for the second phase, which focused on midrange effects of the disaster. The blowout of the Macondo well was the result of decisions about technology and processes that had been made in the years and months leading up to that event, and the effects of the disaster continued long past the sealing of the well. The disaster had widespread but uneven environmental, health, economic and social effects on individuals, households, communities and the entire Gulf Coast region. Almost immediately, lives were lost, ecosystems were coated in oil and livelihoods were disrupted. As the disaster wore on, boats and docks were leased, claims were paid and lawsuits were settled. The disaster’s effects accrued to individuals, households, businesses and communities, and whether they were positive, negative or neutral was influenced by factors such as occupation or business sector, location and prior experiences with disasters. A major and lasting source of concern was uncertainty, about not only where the oil was and the effects it was having and would have into the future, but also whether residents should participate in cleanup efforts, whether they should attempt to fish in waters that were closed and reopened with little predictability, whether they should take a cash settlement or file a claim for damages and much more. The Gulf Coast region has had considerable experience with hurricanes, oil field accidents and spills and the cyclical economic patterns of the oil and gas and seafood incidents and spills and the cyclical economic patterns of the oil and gas and seafood industries, but no one was prepared for the magnitude, depth or extent of the Deepwater Horizon disaster. In the absence of a clear, agreed-upon authority or expert to whom to turn, each individual, household, organization and community was forced to sort out for itself who and what to believe, to adopt a perspective on the disaster and its consequences and then to justify or legitimize its approach to managing those consequences. This sort of broad, sociocultural phenomenon represents the type of complex situation that ethnography can elucidate. It also is largely invisible to economic and demographic analyses based on numerical pat- terns operating at scales where subtle but significant differences are ignored as “noise.” Indeed, in the months following the explosion, while trying to assemble a team to study its effects, Diane talked with economists who had worked with us on prior studies. They declined to participate at that point, explain- ing that the very nature of the disaster, which included actions such as the suspension of deepwater drilling in the Gulf of Mexico, would make it impossible to understand via economic models that are based on long-term trends and assumptions about growth and decline. The recovery included a variety of measures, such as a program to contract local vessels and docks to help in the cleanup, quick payments to individuals and companies who would agree not to press further claims and various lawsuits, and it had differential effects. Ethnographic methods, which can lead to in-depth understanding of how difference is produced over time, provided a sensitive way to understand how effects emerged, were interdependent and evolved as the disaster unfolded. Point Aux Chenes Marina, 2014. Located in southern Louisiana, at the intersection of Terrebonne and Lafourche Parishes, this marina was one of the staging areas for spill cleanup activity in the months following the Macondo well blowout and ensuing oil spill. Photo by Lauren Penney. Our study design leveraged the strength and reliability of ethnographic methods and the case study approach. Immediately after the disaster began, we placed researchers in five study areas across the affected region from Louisiana to Alabama investigating its immediate effects; by the end, 19 researchers had participated in the study. Our ability to gather ethnographic data was facilitated by long-term relationships and years of trust building in the region, much of it guided by a community-based participatory research approach. Over the years, many people had shared their insights, experiences, and stories with us, and some had participated as community researchers. We also had made efforts to revisit communities between projects to share and receive feedback on study findings. These ties were especially critical because the BP disaster followed Hurricanes Katrina and Rita (in 2005) and Gustav and Ike (in 2008). 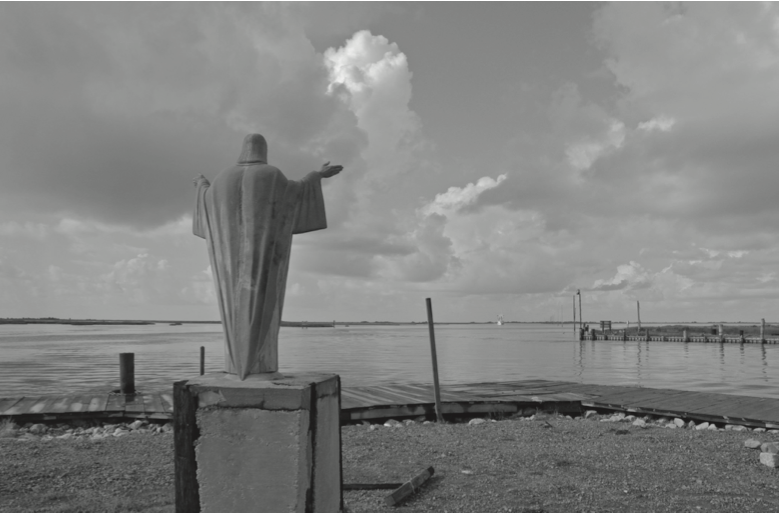 Katrina, especially, had brought many researchers, journalists and documentary film makers to the region, with few visible benefits for residents and communities, and contributed to the reluctance of many people to talk to outsiders. Mindful of the difficulties many were facing immediately after the disaster, we first interviewed people with whom we had ties and expanded from there. Much of our earlier work had focused on the effects of the offshore oil and gas industry, but this time we cast a much wider net. Drop-in interviews, many repeated over months and even years, were particularly helpful for tracking the ongoing effects of the disaster as business owners, social service workers and local officials described what they were experiencing at the time and provided a perspective on broader community effects. Motel clerks and waitresses who regularly served offshore workers on their way to and from the rigs and platforms in the Gulf helped us understand when drilling really had returned to the Gulf. Florists and hairdressers, especially those dependent on customers employed in heavily affected economic sectors, provided an ongoing record of the depth and extent of the disaster, telling us, for example, when the only funeral orders they were receiving were Internet orders coming from relatives from out of town. Participation in local festivals, concerts and other occasions that drew significant numbers of visitors to the region enabled the collection of local event demographics and attendance levels, the themes around which events were focused and the perspectives of organizers and both local and nonlocal participants about seafood safety, the presence of oil and prospects for recovery that would have been difficult to obtain through other methods. And given that the disaster and its myriad effects and policy implications extended to and were influenced by people and institutions outside the region, we also tracked news reports, information sheets that were put out by corporate and government entities, industry publications, court filings and other documents. By the time Diane received the call from the U.S. attorneys in April 2014, we had responded to requests for information from reporters, documentary film makers, activists, public officials and residents of the Gulf region. We had said yes to some, but like many residents of the region, we had learned to be cautious about how our words would be used and our intent misconstrued. In addition, while we had been following the Clean Water Act (CWA) trial as part of our research on the ongoing effects of the disaster and recognized its importance, we also were concerned about how even a positive outcome could have unintentional effects on the communities where we had worked and the people in them. As our research had documented, lots of money pouring into the region immediately after the spill had not been good for everyone. What would happen if billions of dollars more were released? We already had documented, for example, large international engineering firms moving into coastal communities and underbidding local companies on standard jobs in order to establish a foothold for when the big money would arrive. National environmental organizations and others had begun establishing offices and drawing resources away from local groups. At the same time, we understood how our participation could have even broader implications and, as one colleague argued, morally we had no choice. In determining the penalty for CWA violations, one of the factors to be considered was the seriousness of the violation in comparison to actions undertaken by BP to mitigate the effects of the disaster. Typically, this assessment includes oiled shorelines, aquatic animal deaths and costs associated with cleanup. However, in this case the U.S. attorneys wanted to include data on society and culture. Our data had been gathered to investigate the range of effects of the disaster for the BOEM, the federal agency charged with overseeing the offshore oil and gas industry, not to provide evidence against BP. For the U.S. attorneys, this was considered a plus as we had used an approach that would give us as complete a picture as possible — not only about the immediate effects of the explosion and release of oil into the Gulf of Mexico but also about the cleanup efforts, reparations and lawsuits — and that could withstand intense scrutiny. This trial had the potential to set a precedent for other trials. Participation also appealed to us on personal and professional levels. As the individual who had most recently come from the field, Lauren’s decision about whether to participate was influenced by her reflections on her place and role as an anthropologist. We were contacted by the DOJ not long after Lauren had finished fieldwork studying the mid-range effects of the disaster and had begun analyzing our data. In reflecting on the ways the communities had been subject to and exhausted by multiple gazes, she was troubled by questions about whether our work mattered and who it served. Unlike the activists she had met in the field, who seemed to have a clearness of vision and purpose, she realized our work required us to muddle in the middle, to stay open to opposing views and to do the hard work of documenting what was happening. While agency reports, conference papers and journal articles gave us places to communicate our work, the trial offered us a broader platform upon which our work could make a tangible difference. But could we really do this? What we study is complex, and we refuse to reduce our findings to simple conclusions or numbers that can be included in models or put on graphs. Although much of what we find could be considered in the gray zone, trials demand black and white. We were very familiar with the potential costs to researchers of testifying in trials involving corporations, including being forced to choose between revealing confidential information and going to jail . In the late 1990s, due to our research on oil field workers, we had learned we might become involved in a lawsuit led by the Louisiana attorney general against oil field trucking companies. Although that case never went to trial, it led us to carefully evaluate our approach to data collection and management. As a result, we had put in place several practices, including agreements stipulating that researchers turn over all their materials to the principal investigators so any discovery in a lawsuit would be focused on the university; a structured process through which researchers submit their logs, notes and codebooks; and orientations that helped socialize our researchers to the potential sensitivity and importance of the data we were collecting. We all took seriously our responsibilities to the individuals and communities we studied by doing good, careful work. Yet, even with that preparation, we knew that our interview and field notes contained information that would make people identifiable, and that was a problem. A key negotiation was what Diane’s testimony would cover. We would be required to turn over any data upon which the testimony was based. Our primary concern was to avoid turning over any original field notes. The attorneys agreed that were that to be required, Diane would be pulled as a witness. To minimize that likelihood, we focused our expert reports and testimony on the published reports and would not report on our ongoing research. Nevertheless, because our most recent reports were specifically about the effects of the disaster, they drew the most attention, and we were repeatedly asked to provide evidence for the conclusions in them. Demonstrative D-33308 used in the trial to illustrate several key events in the Deepwater Horizon disaster. The expert witness process consisted of three rounds of written reports — the experts produce an initial report of findings; relevant experts then prepare rebuttals to reports from the opposing side; and then experts produce a report responding to the rebuttals — then deposition, preparation for trial and the trial . Throughout the process, witnesses are kept in or taken out based on overall decisions by attorneys — the process feels like a football game where the coaches determine who should play and in what order. Strategies are only disclosed when necessary; witnesses only have a piece of the whole picture and are not always clear about what is happening or why. For anthropologists, this was one of the most frustrating aspects of the process — we are used to working to understand the big picture and yet we would only get bits and pieces, receiving emails or phone calls to provide additional information as needed. In truth, despite our deep knowledge of the question we had been asked to address, we only knew a small piece of the overall story. One of the most awe-inspiring aspects was working with the U.S. attorneys who had dedicated years of their lives to the case and were eager and enthusiastic learners. One of the most rewarding aspects was being part of the larger process — realizing that after we had explained in detail our approach, rationale, data and findings, the attorneys had confidence that what we had should and would stand up in court. So how did we do it? One of the central conclusions of the first phase of our research was that the BP disaster consisted not only of the explosion and release of oil but also the response, investigation and reparations. 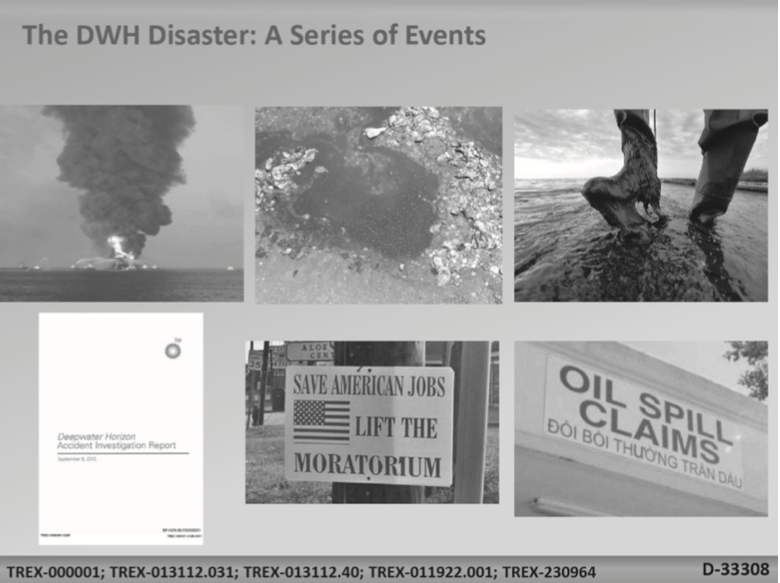 Each of these events generated social and cultural effects, so despite the emphasis in the trial on the “BP spill,” we insisted on this central framing of the disaster. Excerpt from the trial transcript. Under questioning from U.S. Attorney Danielle Fidler (“Q”), Diane (“A”) states her principal argument. Over the next many months, as we worked closely with the attorneys, we learned how to convert hundreds of pages of text describing the many and varied effects of the disaster into clear, crisp language that supported our principal argument. The process was not easy or painless. Our ignorance of what was ahead kept us going. We logged over 800 hours, many during the period prior to the submission of our initial expert report when we could not tell anyone we were working on the case. What we were least prepared for were the persistent attacks on our credibility and our need to establish our competence by drawing on our formal academic training and experience. We prepared a crash course in social science research approaches and methods so the attorneys could determine where and how our data would be most effective. We would later expand upon much of that in- formation in our response to the BP experts who wrote rebuttals to our expert report. We were participating in a process governed by specific ways of defining scientific evidence . Soon after we submitted our expert report, BP began filing Daubert motions to have our testimony excluded. A Daubert motion is presented before or during trial to exclude the presentation of unqualified evidence to the jury. Key challenges focused on our approach and methods, principally the lack of reliability, validity and generalizability of ethnographic data. The community ties that made it possible for us to get reliable data from people who trusted us were criticized as the source of bias. The lack of data on social effects of the disaster was then — and remains today — a significant issue. By the fall of 2014, of the 202 individual research projects that had been funded under the Gulf Research Initiative set up by BP shortly after the disaster began, only six addressed human effects at all, and none constituted a comprehensive effort to fully evaluate the effects of the spill on the affected communities. We argued that ethnography is a scientific, rigorous, inductive approach and that qualitative methods were most appropriate for understanding the range of effects of a disaster that was unprecedented in the region. And we criticized BP’s experts for evaluating the ethnographic approach taken in the BOEM study against standards of quantitative research, arguing that rather than being a “collection of anecdotes,” ethnography “involves the systematic collection and recording of information, identification of patterns and regularities in the data, and the constant interweaving of collection and analysis.” We also noted that instead of compromising knowledge generation, as one expert claimed, “prior relationships made it possible for the researchers to enter the communities during the very difficult period following the onset of this disaster and get beyond the individuals who were seeking publicity.” Still, we had to provide many details about our work, specifying the exact number (1,323) of people we interviewed, how we used purposive sampling guided by an initial matrix of occupations and locations, and our success in triangulating across methods, sources, investigators and locations. As part of their effort to discredit our findings, BP’s attorneys sought to obtain the raw data upon which those findings were based. Given her key role as our database manager for more than a decade, Lauren was central to this effort. Her opportunity to use her knowledge and experience to make a difference began to take the form of creating deidentified data files to achieve our principal aim of maintaining participant confidentiality while turning over the data that informed our study conclusions. University of Arizona Human Subjects Protection Program Informed Consent Form — Vietnamese version. All our project descriptions, consent forms, and disclosure documents were created in English, Spanish and Vietnamese. These documents stated that the information people shared with us would be kept confidential to the extent permitted or required by law. A major tool in our battle to limit what we had to turn over was the institutional review board (IRB) approval that governed our research through the University of Arizona. While we have been guilty over the years of expressing concern about the effect of IRB processes in creating obstacles to qualitative research, we were very pleased to witness the strength of the legal protections that a carefully developed IRB application provided. The approval of our research by the University of Arizona IRB was based on the provisions we had in place to maintain the confidentiality of the data. Our project descriptions, consent forms and disclosure documents had been prepared and administered in English, Spanish and Vietnamese and stated, “Information about you, such as your contact information, will be kept confidential to the extent permitted or required by law.” The U.S. attorneys’ argument for preventing release of raw field notes to maintain confidentiality was grounded in federal policy known as the Common Rule . Protection of identity is captured in the principle of beneficence, which is concerned with maximizing benefits and minimizing risks to the subjects of our research and to society. We negotiated being able to go back to our data to strip it of identifying information and turning over qualitative code reports rather than original interview or field notes. Code reports were a byproduct of our data analysis process, which involved digitally tagging text with “codes” (e.g., themes, descriptions) in a database to categorize information for retrieval. For this project, we coded text according to three broad areas: community, industry sector and special topics (e.g., claims process, seafood safety). Each of these codes roughly corresponded to sections of our report. Code reports were generated by retrieving any text tagged with these codes. The code reports provided the data we analyzed to generate the findings that served as the basis of our expert testimony but fragmented data from interview and field notes to lessen the chance that anyone would be identifiable. Prior to the trial, in addition to going through the database to find the data used by the team to write the final report and producing the code reports, Lauren’s job was to document how the data had been analyzed and managed and to ensure that what was in the code reports was deidentified. Through our data management protocols, we already had in place safeguards protecting participant confidentiality by using unique identifiers (e.g., LP409) in place of real names. However, given the nature of what we were studying (e.g., human experience, how those experiences varied), it had been impossible to keep all the potentially identifying information out of our notes. Personal experiences during the spill, work and family history, neighborhood descriptions and more could all potentially be used to reconstruct someone’s identity. Lauren went back to the database to read through hundreds of documents and redacted any information that could reveal a participant’s identity. Screenshot of project database displaying our main project folders (“Sources”) on the left. 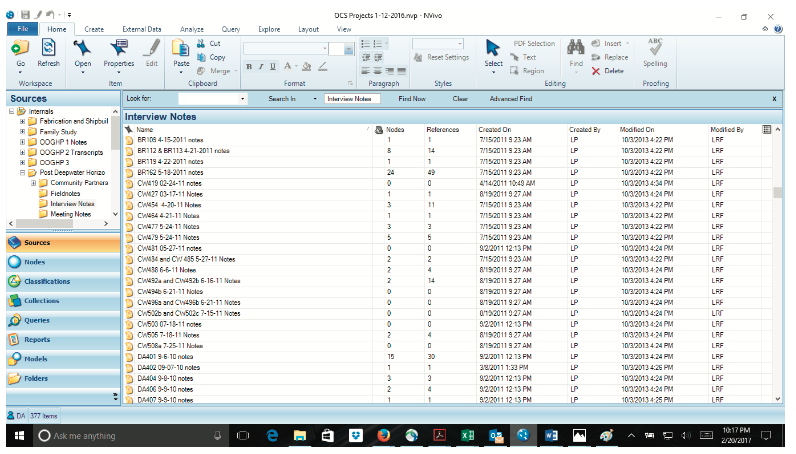 This database, created in NVivo, is used to organize, manage and analyze project data that date back to the late 1990s. The main window shows some of the 377 files contained in the interview notes folder for the first phase of the postdisaster study. This work, while tedious, was made easier by the way our project’s data management had been systematized. Data inventory spreadsheets, manuals for staff working in the field and in the home office and data collection protocols that we’d created in the mid- 2000s became critical to how we demonstrated the soundness of our methods and the knowledge supporting our arguments. While Lauren felt confident that she had done her best to assure confidentiality, it was nonetheless stressful to hand over the code reports. It wasn’t until after the rebuttal reports and deposition that we learned which aspects of the notes would be brought out in trial. We found that attention was focused on specific spots in field notes where individuals we had interviewed said that the oil spill had helped the local economy. In one instance, BP’s attorney brought up a quote from an individual who said that BP was “just handing money out.” In the questioning that followed, Diane used the opportunity to reiterate that one of the social consequences of the disaster was that it fostered conflict and divisiveness. Excerpt from the trial transcript. Under questioning from BP attorney Hariklia Karis (“Q”) about a participant claiming BP indiscriminately handed out lots of money after the spill, Diane (“A”) makes the point that one of the effects of the spill was perceptions of unequal distribution and divisiveness over who received money and who did not. On July 2, 2015, BP announced its plan to settle local, state and federal claims arising from the Clean Water Act violations, Natural Resource Damage Assessments, and economic and other losses related to the Deepwater Horizon disaster over a period of 18 years. The final agreements included a Consent Decree with the United States and Gulf states covering the civil penalty and natural resource damages, a settlement agreement with five Gulf states covering state and local claims for economic and property losses and release agreements with local government entities. Throughout the process of writing reports and preparing for deposition and trial, we struggled to remain faithful to our ethnographic data and our anthropological understandings of the complexity of the situation while operating within the confines of the legal process. In the end, the richness of our data, the depth of our understanding of the region and the systematic nature of our data collection, where we deliberately sought out opposing viewpoints and diverse experiences, convinced first the U.S. attorneys and later the judge of our credibility. Still, anticipating the trial where yes/no questions would be used to push witnesses to state unequivocal conclusions, we were forced to confront challenging questions. We had many conversations with each other about our data, anthropology and the ethics of our participation. Beyond decisions about whether to participate in a trial, as anthropologists we recognize that there are many interpretations about appropriate ways to practice and share our work with others. Ethnographic research represents a recognition that we do not know, going into a study, what hypotheses we are testing or what we are most likely to find. It represents a commitment to systematic and careful investigation of the ways that people make sense of their world and to finding, interpreting and acknowledging information that does not fit a neat argument. On the surface, ethnography can appear as a collection of methods that are haphazardly or opportunistically enlisted, making the researchers susceptible to discovering only what they set out to find or what was easy, acceptable or convenient. Beneath the surface of any good ethnography is a structure that anchors the researchers while at the same time giving them flexibility to branch out in new directions while digging deep in some places to get as complete a picture as possible. Communicating with each other about the challenges we face and problem solving together offers valuable peer support and leads to better decision making. As we reflect on this experience and look ahead to ongoing research in the Gulf of Mexico and elsewhere, we offer the following observations. We left these experiences with new perspectives on and appreciation for standards of practice. In conducting research, we have taken seriously our responsibilities to the communities in which we work and have encouraged our colleagues and students to do so by doing systematic, nuanced work. The nature of the work (studying an evolving industry in a dynamic region) requires us to carefully design studies to fit local context and realities (such as postdisaster research fatigue of study participants), to stay open to differing perspectives and experiences, to think complexly and to be flexible and responsive as things change. We also have found that establishing and maintaining relationships with people and organizations in the communities in which we work is critical to our success. Working together and doing good work requires thoughtfulness, preparation and discipline. Still, the ends to which our work will be put are not always clear. Whatever the motivation for our research, we cannot be sure where our data will be needed or what they will be used for. Often we do research with strong societal and policy implications. When do we insert our knowledge into current debates? How do we use ethnographic research to inform decision making? At a point in history when we are barraged by proclamations to return to a (seemingly) simpler time with fewer information channels, one dominant way to understand the world and unwavering messages about right and wrong, anthropologists have an important role to play in remaining committed to using our approaches, knowledge and perspectives to uncover complexities and then helping guide our audiences through those complexities to reach conclusions. It was the upfront attention to design, the careful execution of everyday activities in the field and office and the relationships and trust that were built and nurtured throughout the research process that allowed ethnographic methods and anthropological insights their day in court. The authors extend sincere thanks to their university and community-based research colleagues for conscientiously recording their observations, interactions and interviews; to the staff of the Bureau of Applied Research in Anthropology at the University of Arizona for unwavering support; to Harry Luton and Sindey Chaky of the Bureau of Ocean Energy Management for their commitment to empirical research; and to the lawyers for the U.S. Department of Justice for their service and dedication to the public interest. 1. Phase one concluded in September 2014 with the ruling that the discharge of oil was the result of BP’s gross negligence and willful misconduct, and found BP, Transocean and Halliburton all liable under general maritime law for the blow-out, explosion and oil spill. The second phase concluded in January 2015 with the ruling that 3.19 million barrels of oil were discharged into the Gulf of Mexico and not recovered. 2. For social scientists and litigation, see Steven McNab, “Social Research and Litigation: Good Intentions versus Good Ethics,” Human Organization 54, no. 3 (1995): 331–335; J. Steven Picou, “Compelled Disclosure of Scholarly Research: Some Comments on ‘High Stakes Litigation,’” Law and Contemporary Problems 59, no. 3 (1996): 149–158. 3. Other trial experts included engineers, biologists, economists and psychologists. We were the only anthropologists on either side, so we did not have any initial reports to rebut. 4. Federal Judicial Center and National Research Council, Reference Manual on Scientific Evidence (3rd ed.) (Washington, D.C.: The National Academies Press, 2011). 5. National Science Foundation, “Frequently Asked Questions and Vignettes,” http://www.nsf. gov/bfa/dias/policy/hsfaqs.jsp#original. Diane Austin is a research anthropologist in the Bureau of Applied Research in Anthropology and professor of anthropology and director of the School of Anthropology at the University of Arizona. In her work, she aims to describe and draw attention to major and rapidly evolving problems at the human–environment interface, identify and describe their root causes and develop approaches for addressing them. Lauren Penney is a research health scientist for the Veterans Health Administration in the South Texas Veterans Health Care System. She studies how complicated health conditions such as chronic pain and issues such as hospital readmissions are made sense of and addressed within complex systems. Tom McGuire retired as research anthropologist emeritus, BARA, and professor of anthropology, School of Anthropology, University of Arizona. His research interests focus on natural resources and society. This entry was posted in Feature Preview, Selected Print and tagged applied anthropology, disaster anthropology, Law, oil, Research Methods, U.S..